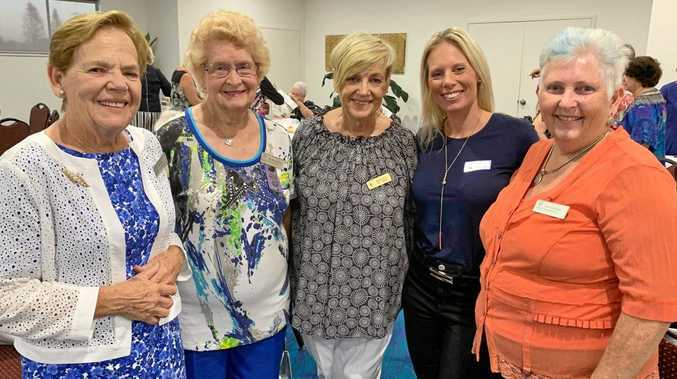 Pat Porter, Elaine Hitchcock, Margaret Ive-Smith, Prue Mosely and Janice Dobbins chat before the recent Caloundra Evening VIEW Dinner. OUR next general meeting will be held on April 18. Guest speaker will be the very well known Shauna Hicks and will be sharing her knowledge on the topic - Soldiers in the Family. Whether you are a beginner or have been researching your descendants for years, there is always something to learn and be amazed by the knowledge of the monthly guest speakers and the various small group outings to local museums and libraries that the group is associated with. Rooms open Thursday and Saturday from 9am-12.30pm for people who want to use our resources (library, computers and onsite expert advice). Go to caloundrafamilyhistory.org.au or email us athello@caloundrafamilyhistory.org.au or phone Cathy Meyer on 0411 881 745. 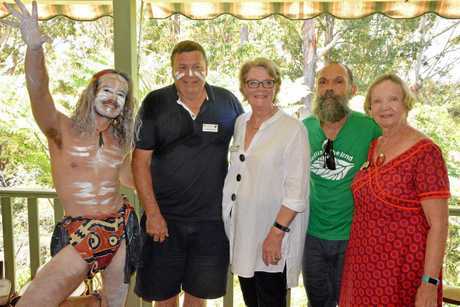 CULTURE ON THE COAST: Pictured at an indigenous cultural presentation at the Green House at Beulah Community, Buderim are (left to right) Jadon Briggs (Beulah), Andrew and Jane Parker (Cornwall), Michael Ward (Beulah) and Carol Harman (Sunshine Coast). FOURTEEN Friendship Force International visitors from Cornwall UK, were hosted last month. Cornwall co-ordinator Jane Parker said that over seven days the group enjoyed a variety of activities on the beaches, rivers and hinterland of the region. She said the warm hospitality of local home hosts always provides a unique experience not available to regular tourists. Host coordinator for the Sunshine Coast club Carol Harman agreed. She has maintained friendships with many home hosts during her own week-long journeys through Friendship Force to countries such as Russia, Taiwan, Canada and Indonesia. She said, "We meet families and their friends, perhaps help prepare a home-cooked meal, see their special places, and experience the world through local people's eyes. In May some of our members will travel to two clubs in Texas and New Mexico, USA." New members are welcome. Phone Carol on 07 5471 7338 or go to FriendshipForceSunshineCoast.org.au. LIFE AWARD: Tony Eccles (right) receiving his Honary Life Membership from Sunshine Statesmen Barbershop Chorus President, Mal Woods. 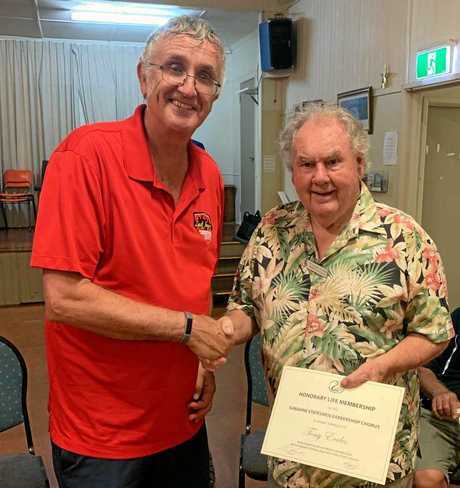 TONY Eccles, who turns 87 on April 1, was honoured with a Life Membership of the Sunshine Statesmen Barbershop Chorus, based in Buderim. Tony, who lives in Little Mountain, has been with the chorus for 11 years and has acted in a variety of administrative roles within the chorus including his time as president when the Sunshine Statesmen last hosted the spectacular Sunshine Regional Barbershop Convention at the Events Centre Caloundra in June 2015. Tony was appointed as an Officer in the Order of Australia for his services to the Jewellery Craft in 2003. Tony is a living testament to the health and wellbeing benefits of singing in a group, no matter what your age. If you would love to come along and experience Barbershop singing with Tony, the chorus is running a free voice coaching program, starting on may 1 and running for four weeks, with a concert for family and friends on the fifth week. The group rehearse every Wednesday from 7.30pm at the Buderim Uniting Church Hall, cnr Gloucester Rd and King St. Buderim. Phone Peter Hall, secretary on 0477 559 205 or Malcolm Woods, president on 0411 742 073 or go to sunshinestatesmen.harmonysite.com. IN THE Anglican Churches Year of Generous Hospitality Rev. Tania Eichler and St Peter's Parishioners invite you to participate in our Easter Services. On April 18 at 7pm we share a communal meal embracing Jesus' command to Love one another. April 19 Good Friday at 9am we have a meditational journey with Jesus to the Cross. April 20 at 7pm Easter Vigil, a service of Light. April 21 Easter Day at 7am and Traditional Easter Day Service at 9am, a friendly less formal Easter Service. St Peters, cnr Church St and Beach Rd, Maroochydore 07 5443 2133 or go to anglicanmaroochydore.org.au. NEWCOMERS/Absolute beginners with little or no experience. Fun exercise for mind and body. Mon 12.15-2pm Sport and Recreation Centre, Currimundi. Sat starts at 9am Uniting Church Hall, 6 Milwell St Maroochydore. Cost $10. Phone Ute Woods on 0412 804 499. HAVE a fun and sociable night with the Lions Trivia night at the Lion's Den, Mountain Street Pomona. Saturday, April 6. Doors open at 6pm, first question at 6.30pm. Entry $15 per person includes table nibbles and door raffle tickets. Bring extra food if you wish. Bar available. Phone 07 5485 1028. JOIN us under the shade of the Casuarina trees anytime between 8-10am for our dune care activities (planting natives and removing weeds) on April 9 at Beach Access 206 on Pacific Blvd, Buddina. All provisions, tools, plants, conversation and morning tea are provided. We are welcome new volunteers and visitors. We meet on the second Tuesday of each month. Follow us on Facebook: facebook.com/Buddina coastcare/. THROUGH the Older People Action Program we support older people to develop and manage healthy aging programs in their own communities. Our service aims to promote the mental, physical and spiritual wellbeing of all senior citizens on the Sunshine Coast. Activities held at Hall at the rear of McDonald's car park, Civic Way, Nambour. We have a guest speaker once a month. On April 5, $5 game. Includes morning or afternoon tea. Phone 07 5444 5833 or emailadmin@sun60.com.au. AT THIS time, submissions are being sought by the Health Committee into the Rights of the Terminally Ill in Queensland. We feel that a Voluntary Assisted Dying Bill is an important step and submissions close on April 15, 2019. Our next meeting is at 2pm in the CWA Hall (opp Maroochy RSL) Maroochydore on April 17, 1.30pm for 2pm start. Adults welcome. A CENT Auction and raffles will be held at the St Peter's Church, Elizabeth St, Coolum on Friday, April 12. Cost $3 with morning tea, doors open at 8.30am, draws start at 10am. Lots of vouchers and prizes for all. 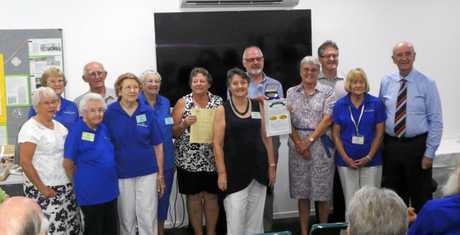 PROUD GROUP: Cooroy-Noosa Genealogical & Historical Research Group happily display their Centenary Medal. WE MEET every Thursday at 7pm at the Croquet Club, Syd Lingard Drive, Buderim. Donation $4 to cover hall hire. This April we present for inquiry topics current for this age, and the theosophical view of these. Why not come along for discussions and talks on things that matter. THE Caloundra Garden Club welcomes new members to join our friendly club. Meetings are held on the first Tuesday of each month at 9.30am from February to November at the Caloundra Masonic Hall Third Ave. Delicious morning tea, plant competition, great speakers, trips etc. Phone Wendy on 0434 469 499. THE St Vincent de Paul Cent Auctionwill be held on Monday, June 3 at St Peter's Catholic Church, Elizabeth St, Coolum starting at 8.30am. Around 200 prizes and hampers will be won at the draw. We will have a wide collection of prizes including wine, fashions, games.... items for home & family. Many vouchers too... hairdressing, groceries, lunch, beauty, car services, restaurants, and much more. Guests pay an entry fee of just $4, which includes a scrumptious morning tea and door prizes. Sheets of auction tickets are then available for a dollar a sheet - participants then can view the array of prizes and choose which ones they'd like to win. All prizes will be won before noon. WE ARE a support group for people with melanoma. If you have melanoma, we are there to help you. Friends and family welcome at our get-togethers. There is no cost so come and enjoy a cuppa with a group of friendly, happy people. We meet on the third Friday of each month in RSL House, 106 Memorial Dr Cottontree, (next to the RSL parking building). The meeting starts at 10am on April 19 at 10am. Phone Christine on 0412 689 546 or go to melanoma patients.org.au. FUN and Fellowship Club activities along with a great mix of music and songs from the '50s and '60s eras along with songs from well known musicals plus selected songs from more recent years. This mix ensures and interesting and fun morning and everyone is welcome to come along, join in the fun, or just sit and listen to the music. A cuppa and some great fellowship rounds off the morning. This all happens every Wednesday from 9am at the Palmwoods Girl Guides Hut, cnr of Lingara Ave and Palmwoods-Montville Rd. Phone Warner on 0429 066 164. INSIDE/ Outside Feeling Great will be hosting morning tea, together with two wonderful workshops for women. The first session, presented by Deb, a Louise Hay Life Coach is about discovering happiness now, to feel positive and uplifted on a daily basis. The second workshop presented by cat, a personal stylist is about choosing clothes that will allow you to step out each day feeling confident and happy with your appearance. The event is both inspirational and practical, and is being held on Saturday, April 27 at 9.30am-1pm at the Tait-Duke Community Cottage at Tewantin. Phone 0436 104 237 or email insideoutsidegreat @gmail.com. THE Sunshine Coast Arts and Crafts Community Fair is on again, just in time to purchase that unique and one of a kind Mother's Day gift. On April 27 and 28 from 9am-4pm at Montville Village Hall. We will have a huge range of locally made crafts available that have been lovingly hand made by our members and members of the local community.Our Fair will feature fabric art, handbags, children's clothing, pottery, jewellery, knitted goods, jams and spreads, cards and so much more. Refreshments will be available in our member run café which will include tea, coffee, home made cakes and slices, sandwiches and many more yummy food items. Most importantly entry is. We are also being proudly supported by the Sunshine Coast Council's grants program. WE ARE looking for new players. The club meets on Saturday afternoons in the hall of the Buderim Mountain State School. Fee $5 including refreshments. For more information, phone Virginia on 0428 885 055 or Ruth on 07 5450 7046 or go to buderimindoorbowls.org.au. 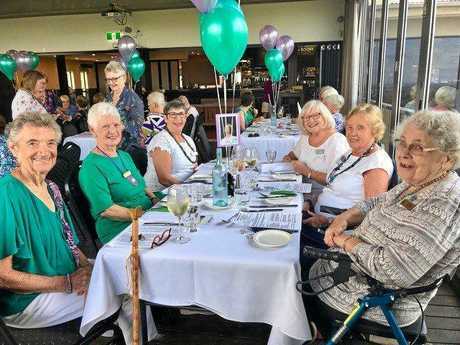 Some of the beautiful Buderim VIEW club members at their monthly Lunch/Meeting, where the theme was International Women's Day. OUR April Lunch & Meeting (with guest speaker re Package Tours around Rockhampton Yeppoon areas) is on Wednesday, April 3 (next May 1) at 11am for a 11.30am start at the Buderim Tavern. Cost: $28. RSVP Pat Cooney on 07 5445 6329. AT OUR March Dinner meeting, an interesting, entertaining and informative talk was provided on the history of the club by three founding members, Bev Walker, Carol Kahl and Clare Seddon. They touched on the history of VIEW, its formation in 1995, difficulties therein and its growth to 122 members over the past 24 years. Originally, the Club had collected household items which were forwarded to Sydney for distribution to battling families by the Smith Family until the focus of our work changed dramatically. Clarie said, "What I believe we are striving for now is: Helping to give our students the best education they are capable of. 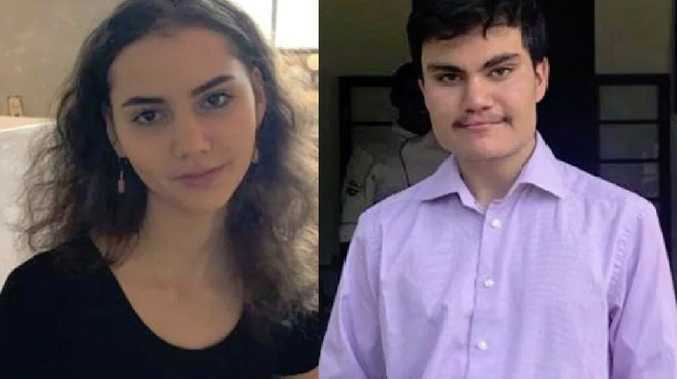 Students, who because of their home situation are forced to miss out on opportunities; are misfits due to their looking different; are often not given much encouragement or help to achieve. Therefore, these kids do not believe that they can ever achieve a top level of education. We make it possible for students not to look different, not to miss out on school happenings, not to lack resources, and, most importantly - not to lack encouragement." We meet for Dinner on the second Tuesday of the month at the Caloundra Power Boat Club. Phone Sue on 0403 504 408. 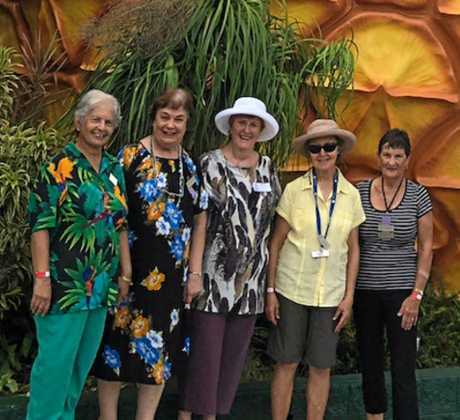 GOING TROPPO: A group of Glasshouse VIEW club ladies at Wildlife HQ at The Big Pineapple last month. OUR lunch meeting will be at Glasshouse Sports Club on April 17 at 11am when our guest speaker will be a representative of Story Dogs. Anyone interested in joining us would be most welcome, phone Trish on(07 5493 0026 or Janet on 0448 845 303. 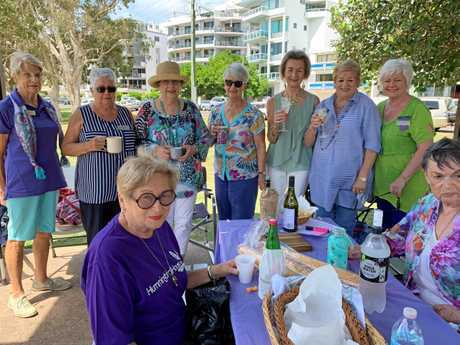 Maroochydore VIEW Club recently celebrated International Women's Day with a "Picnic in the Park" at Cotton Tree Park. WE RECENTLY celebrated International Women's Day with a "Picnic in the Park" at Cotton Tree Park. Guest Speaker at our next meeting is Pauline Cass. The joy of genealogy is discovering not just the names of those long-forgotten ancestors, but also their life stories. They say it takes three generations to lose the history of a family but with persistence we can go beyond that barrier. The introduction of DNA testing as part of our repertoire of genealogy tools can reveal more about those from whom we've inherited it - it can also bring some unexpected surprises. You can learn more on how you can discover your own family stories at our lunch on Friday, April 26 at the Maroochydore Surf Club. Phone Sandi on 0429 022 033. 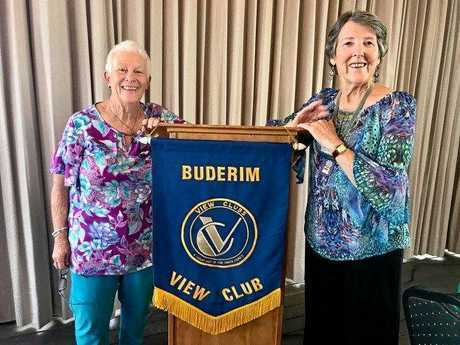 Buderim VIEW club's Carol Bomford and president, Jenny Jackson. TAI-CHI class with Ian Cameron will change time to 9-10am in the second term beginning Friday, April 26. This class is $5 for members of Coolum HeARTs and $10 for community members who would like to join us for a gentle workout with a very experienced Tai Chi teacher. Phone Jackie on 0423 002 498 for more information. PEER support group for people living with depression/anxiety. All welcome. Friday 12.30-2.30pm at Coolum HeARTs Centre, cnr Elizabeth & Sunrise Ave. Phone Barb on 0476 528 992 for more information. One of Australia's leading quilt makers and published author, Margaret Sampson George. 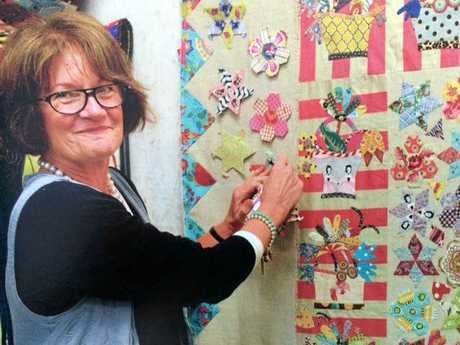 WE WILL be having a very special Trunk Show in April where one of Australia's leading quilt makers and published author, Margaret Sampson George, will show many of her own quilts explaining how she created the magnificent designs and their history. In her quilts Margaret combines vintage, reproduction and contemporary fabrics that reflect her life overseas in several different countries as well as her own unique personality. The Trunk Show is open to the public and light refreshments will also be provided. This special event is being held at Wallace House, 1 Wallace Dr, Noosaville on April 16 from 10am-noon. Cost $5pp. Tickets available at the door or on the day but to ensure your entry to this popular event, recommend securing your seat, go to noosa artsandcrafts.org.au. EVERY Tuesday evening from 7-9.30pm Pat and Norm Young organise a social evening at the Pomona Memorial School of Arts Hall. Cost is $5, which includes supper. It is a very enjoyable evening as Pat and Norm provide New Vogue as well as Old Time Dancing. Come and be a Spectator, and see if you will enjoy it. Everyone is welcome. Phone 07 5485 2007 for more information, or come and visit. IN recognition of over 20 years of tireless work and fundraising by our members to build their dream of a Heritage Centre in Cooroy, the President of the Royal Historical Society of Queensland, Stephen Sheaffe presented the Group with the Centenary Medal. The Medal is awarded to those who in the opinion of the Society, have made an exceptional contribution to the history and heritage of Queensland. Before a packed audience, some of the founding members spoke about the beginnings of the Group. Win Wynn related stories of fund raising events from plant sales, selling jams and even bagging horse manure for sale. Former President Bev Warner and Secretary Julie Kinloch gave an insight into managing the project and keeping it on budget. Mayor of Noosa Shire, Tony Wellington spoke about the Group's capacity for working together and with other members of the community to achieve their goal and the importance of curating local history for future generations. All past and present members are proud of their magnificent achievement and importantly of the stimulating, friendly and resourceful group they have become. Dr Ruth Kerr was pleased to be awarded The Surgeon General John White Medal which is given for Service to Health in it's Many Forms. Emeritus Professor John Pearn made the presentation for Ruth's service as an ambassador for medical history in Queensland. Go to genealogy-noosa.org.au to find out more or phone 07 3129 0356. WE NEXT meet on Friday, April 12 at 9.30am at Flame Tree Baptist Church hall, 27 Coes Creek Rd, Burnside. Entry $8 includes morning tea. Come along and enjoy worship and an inspirational message. Women and men are all welcome. Come along and bring a friend. Aglow is a world-wide non-denominational Christian organisation with Branches in over 170 Nations on 6 Continents. Phone Melva on 07 5443 5752. OUR club enjoyed our first outing for 2019 to Kev Franzi's CinemaWorks at Kenilworth enjoying his museum and theatre at Kenilworth and viewing two hours of documentaries and films with lunch, ice-cream and cheese at the local cafes and Cheese Factory. Members also participate in a monthly walk and talk, games afternoon and a general meeting with guest speaker at Pelican Waters Tavern. To join our friendly group of retired or semi-retired men and women, phone membership officers Dorothy and Bill on 07 5492 6721. WE ARE a club for retired and semi-retired people looking for friendship and fun. Next meeting is on Tuesday, April 2 at 9.15am at the Uniting Church, Elizabeth St, Coolum Beach. Visitors are welcome. 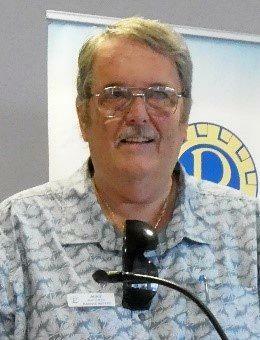 A guest speaker entertains us each month and organised lunches, bus or car trips. Phone 0429 516 788. After the meeting is closed, we meet at the Coolum Beach Hotel for lunch (at own expense). Kawana Waters Probus held their AGM recently and are ready to embrace a new Club year with active Committee members lead by President Michael Matthews (pictured). WE HELD our AGM and are ready to embrace a new club year with active committee members lead by president Michael Matthews with Brian and Julie Knight as treasurer and secretary respectively. The many club activities are ready with new programs. The general meetings are held at Venue 114, Sportsman's Pde, Bokarina on the second Tuesday of each month. Visitors are welcome. Phone the Registrar Jan Rowe on 07 5491 9287 or 0450 717 447. OUR club is all about friendship and mental stimulation for retirees. There are weekly outings such as coffee mornings, lunches, dinners and visits to places of interest. Meetings are usually on the fourth Monday of each month at 9.45am at the Tewantin Noosa RSL. Visitors are welcome. A donation of $5 covers morning tea. Our April meeting is on April 29 because of Easter. The guest speaker will Senior Sergeant Ben Carroll from the Noosa Police. Phone Geoff Bailue on 0418 145 034. IS TECHNOLOGY whizzing past too quickly for you to keep up? We can help. Hands-on help is available at club meetings. You can also receive assistance with help telephone lines, weekly information bulletins and a monthly magazine. Reasonable membership fees and a small weekly charge for attendance at meetings. Meetings are held weekly at Caloundra on Saturdays and Buderim on Thursdays. Membership entitles attendance at any club meeting held on the Coast. Visitors welcome. Phone 07 5492 1005 or go to sccc.org.au and watch the introductory video or email sccc@internode.on.net. HERE you can learn to Line dance to Latin music and other music from the '60s and '70s. No partner required. Tuesdays 2.30pm. Phone Maribel on 07 5492 2805. Also we have tai chi exercises (standing up) that are easy to do following the teacher. And an excellent musical show, indoor bowls, bolivia, whist, 500, hoy and mah jong. Annual sub is $10. Entry for members $5 for each activity (visitors $6). Uniting Church hall, 56C Queen St, Caloundra. For a copy of the weekly program, email raymoni @optusnet.com.au or phone 07 5438 1403. OUR next meeting will be held on Thursday, April 18 at Cooroy Memorial Hall, 23 Maple St, Cooroy (third Thursday of each month). Doors open at 6pm. We share surplus home grown produce and plants by giving, exchanging or selling. Entry is a $5 donation for non-members. The meeting begins at 6.30pm and the night is complete with a "bring a plate" shared supper at or after 8.30pm. All welcome. ON MONDAY, April 1 at Uniting Church Coronation Street, Nambour. Parking at Donaldson St entrance, 8.45am for 9.30am start. "Honouring Members". Speaker: Marjorie Van Roy. Entertainment: - " Little Village Choir", Theme; "Broadway". Followed by a sumptuous, catered morning tea. It would be great if every member could come and enjoy the special day. Visitors welcome. Phone Karel on 0490 415 067. GET active while seated! Our seated dance sessions promote fitness and wellbeing through inspiring music and wonderful world dance styles. No experience needed. Come along and give it a go; bring a friend. Classes every Thursday at the Freemasons Hall in North St, Yandina, 10.30-11.45am. Phone Philippa on 0417 780 016 or email pippambc@hotmail.com. NEXT Lecture: Venerable Venues on April 8 at 6.30pm for 6.45pm start at the Drama Theatre Matthew Flinders College, Stringybark Rd, Buderim. Phillip Bailey's interest in " Venerable Venues" was created through his role as personal assistant ( for over 20 years) to the acclaimed violinist Yehudi Menuhin- as this job involved extensive travel as Menuhin played in some incredibly beautiful venues. This lecture looks at iconic venues such as London's Royal Albert Hall, Vienna's Musikverein, L'Opera in Paris and the award winning Menuhin Hall in Surrey. Phillip Bailey examines what makes for a "good" acoustic and the compromise between architectural and acoustical brilliance in many of the venues. The goal of ADFAS Sunshine Coast is to enable members and guests to learn more about the arts in a friendly, welcoming environment. Our monthly raffles raise funds to support local young art projects. The lecturers are recognized specialists in their fields drawn from a variety of professional backgrounds. For bookings phone Brian on 07 5445 4439. Visitors cost is $25. Bookings essential. Full annual memberships are available. Email sunshinecoast @adfas.org.au.